Whenever it comes to natural stone surfaces, nothing can make them look more beautiful than a gorgeous polish! The reflective shine and luster becomes a conversation piece in your home that is sure to leave your guests envious! -Reinforcing the protective seal, causing acidic liquids such as wine and coffee to bead on the surface for quicker and easier cleanup. Conversely, an unsealed and rarely polished stone surface will absorb liquids, leading to stains, etches and costly repair and replacement. Just as important as having routine professional maintenance performed on your stone, you must take care of your natural stone surfaces at home with daily cleaning. Your stone may look perfectly clean, but even the tiniest piece of food, dirt or liquid can lead to disaster by breaking down the protective seal. What’s more, using a cleaner made specifically for natural-stone surfaces such as granite, marble and travertine will give you peace of mind knowing there aren’t any harsh ingredients damaging your protective seal. Modern Stone Care offers cleaning products designed to protect and preserve your natural stone. Another vital step homeowners need to take before polishing there stone surfaces is making sure the stone is sealed properly. 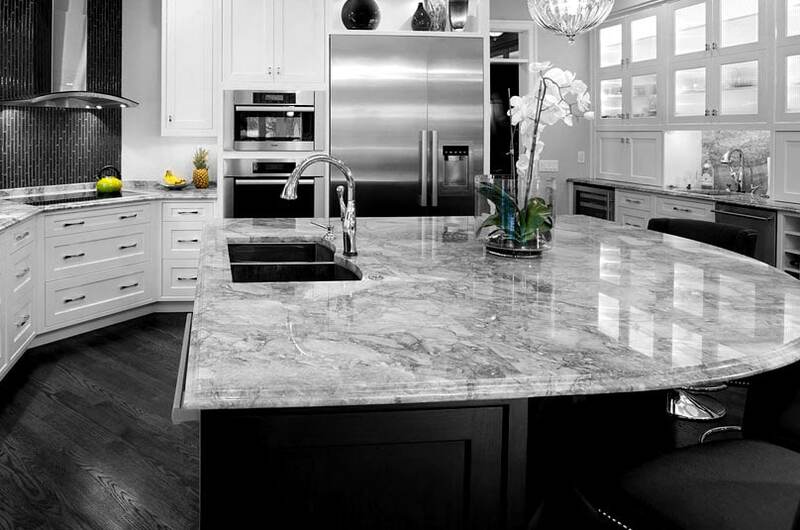 Frequently sealing granite countertops and all other natural stone surfaces maintains maximum surface protection, penetrating stone surfaces to provide superior, long-lasting resistance to staining, etching and soil build-up. Make sure your natural stone countertops are sparkling and protected against stains this holiday season! If you have any questions or concerns about your natural stone surfaces, or tile and grout flooring, contact us today!